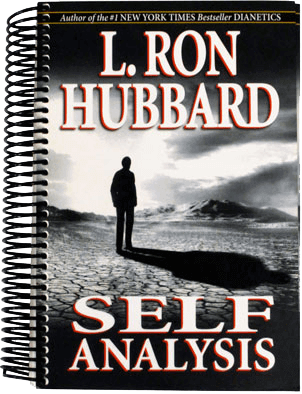 Self Analysis by L. Ron Hubbard | Bridge Publications | Bridge Publications, Inc.
Do You Have ALL of the Self-Confidence, Happiness, and Success You Want and Deserve in Life? Are you sick and tired of being stuck in a job that makes you miserable, answering to a boss you hate, working to make someone else rich? Do you wish your life had more pleasure, joy, fun, excitement, and rewards—so that you could leap out of bed each morning, eager to see what the new day has in store, rather than groan unhappily whenever you hear the alarm clock go off? Have you ever struggled to make relationships work, whether with your spouse … significant other … parents … children … neighbors … friends—so both you and they were happier and more content—to no avail? Self Analysis is the fastest, easiest, and most effective do-it-yourself system for truly getting to know yourself. And for discovering and fully understanding who you really are … what you want … what you are capable of … and how you can get everything you seek out of life—all by simply getting to know yourself better. Become happier and more joyful. Increase your consciousness and awareness. Gain a more positive mental outlook on life. Ramp up your emotional intelligence. Speed up your reaction time and perform better in sports. Rise to the top of your profession. Think better, faster, and more clearly. Now, how many people do you know have already spent thousands of dollars seeing doctors and therapists year after year? If these people were truly getting the results they want, wouldn’t they be done by now—instead of being perpetual patients—and paying thousands of dollars for therapy year after year? Of course they would! Well now, with Self Analysis, you can gain a superior working knowledge of your mind directly from the one person who knows you best: YOU! You may have tried some of these methods before, and even achieved some benefit. But when you do it with Self Analysis, you take true ownership of your problems. And by “owning” your self-discovery process, you can finally achieve lasting, permanent, and long-term improvement—and not just the usual temporary lift that fades, leaving you in the same place you started. That’s right. By using Self Analysis for about 15 hours… or in as little as 2 short weeks… you can dramatically increase your ability to handle life more confidently, competently, and more boldly. Your incredible journey of self-discovery starts right NOW! How does one go about the self-discovery process for maximum results … in minimum time … and for a tiny fraction of what others pay for help that is often far less effective? 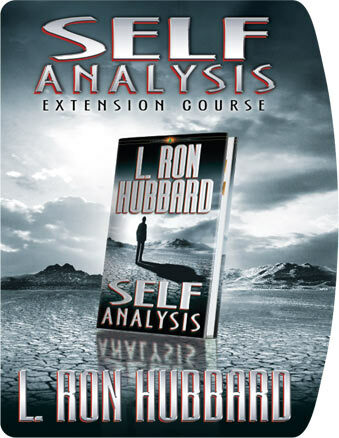 The full regimen and instructions are contained in the Self Analysis manual by L. Ron Hubbard. The journey starts with a series of short essays written by Hubbard in simple terms to get you to fully understand what Self Analysis is, how it works, what it can do for you, and how to use the techniques in the book. Next, it guides you through gaining full awareness, recognition, and control of all 12 of the key areas of your life. Using the Self Analysis processes to master these dozen life foundations, there is virtually no limit to how much you can do and achieve! Best of all, this brand-new, updated edition of Self Analysis has been specifically designed to make it as easy as possible to follow the processing instructions—so you can concentrate on what matters most, your progress. Follow “The Hubbard Chart of Human Evaluation”—Your roadmap for life-altering self-discovery. Self Analysis is a program and manual containing everything you need in order to succeed with self-discovery. Everything from the basic theory, articles from the author, step-by-step instructions, and the processing exercises are all at your fingertips. The world-famous Hubbard Chart helps you determine exactly what your current success-potential is, as well as your average day-to-day emotional condition. Once you have a “before” snapshot of where you are on the chart, then you begin the Self Analysis process. The full regimen contains 12 self-processing exercises; each covering a key aspect of your life. In all, you address dozens of important questions that will help you improve the critical areas of your life being targeted by the technique. Analyze your way to a better YOU—and a brighter future! Is your memory perfect? Can you, at will, recall everything you have ever learned or heard, every phone number, every name? If you can’t, obviously there is room for improvement, right? And Self Analysis can help you boost your memory, giving you almost photographic recall of important dates, events, facts and people. Most people react slowly in emergencies. Let’s say it takes you half a second to pull your hand off a hot stove. That’s too long a period to hold your hand to a fire! In athletics, reaction time determines to a large extent your success in sports. The Self Analysis system shows you how to speed up your reaction time through greater self-knowledge and more efficient thought-processing. How many people have you known who have sought consistently, under the mask of seeking to aid you, to tear you apart as a person and reduce your future, your hopes, your goals and the very energy of your life? Hubbard’s Self Analysis process can help you avoid and overcome the damage these kinds of “toxic” individuals can cause to your confidence, success, and well-being. The feeling of being small in the vicinity of large objects sometimes causes feelings of inadequacy. It is even said that people who are smaller than average feel less secure. On the other hand, large people who are big and tall can also be size-conscious. By following the Self Analysis system, you can resolve any irrational emotions or memories associated with your height, weight, and other size issues. Not only can the sense of touch be dulled in some people, but it can be too sensitive in others—causing anxiety or nervous tension. The rehabilitation of the sense of touch through Self Analysis goes a long way toward rehabilitating your confidence and makes it possible for you to obtain pleasure, where before there might only have been distaste. When you begin to discover your inadequacies in handling the world around you, you also begin to decline physically, become less competent mentally, and fail in life. Your health depends in large part on your ability to handle the physical universe—and to change and adjust your environment to you. Self Analysis can help you overcome your past traumatic experiences and “social training,” both of which may have diminished your vitality toward life. If your imagination is dulled, your ability to think is severely handicapped. Only with imagination can a person decide on future goals and reach them successfully. Hubbard’s course can increase your imaginative ability and creativity exponentially. So you can solve problems more easily, and generate profitable ideas on demand. Just look at all you get with your Self Analysis System! A sturdy 371-page spiral-bound workbook, the Self Analysis manual covers the 12 problematic areas of living that could be holding you back from your full potential—and how to fix each. By using the manual daily, you can start building your confidence and increasing your potential for career success, long-term relationships, financial prosperity, and so much more. Takes you through the Self Analysis manual chapter by chapter, with study exercises to bring you to a fuller understanding of the program lessons, principles, and materials. As you complete each lesson, send in the assignment. 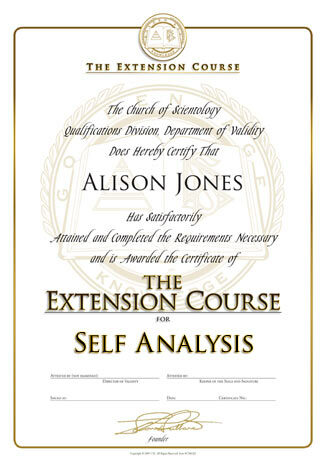 Upon successful completion of the Extension Course, you will be awarded a certificate indicating you are a successful Self Analysis Extension Course Graduate. Act now and save $110! The manual ($30), extension course ($20), and personal coaching service ($100) have a combined retail value of $150. You save $110 … a 73% discount off the regular rate. For over 65 years, people all over the world have been using Self Analysis by L. Ron Hubbard to help them increase their self-awareness, confidence, and overall happiness in life. Of course, as with any self-betterment program, the degree of success that each individual experiences with Self Analysis depends largely on how they use it. The program in the workbook and extension course contains exact directions and they should be followed closely for best results. Ultimately, individual results will vary from person to person depending on their unique situation. If you are unhappy with the program for any reason, just send it back within 30 days of original purchase for a full refund. And you may keep all the self-knowledge, self-awareness, and self-discovery you gained working with our system—absolutely free. That way, you risk nothing. Why wait to change your life for the better? Self Analysis contains a highly precise and powerful technique that, if followed properly, can produce extremely positive results—and improvements in your life—like nothing else you’ve ever experienced. To gain benefits, knowledge, and self-awareness far beyond what traditional analysis and self-exploration seminars, books, and trainings offer … faster and at far less cost … click here now to start your risk-free offer on Self Analysis. Or call toll-free 800 722-1733 today. And discover the wonder that is … YOU! L. Ron Hubbard was an adventurer, explorer, master mariner, pilot, writer, filmmaker, photographer, musician, poet, botanist and philosopher. At 13 years of age, he became America’s youngest Eagle Scout. By the age of 19, Ron had traveled over a quarter million miles exploring the South Pacific and much of China and India. Mr. Hubbard was one of few Western adventurers to enter the forbidden Tibetan lamaseries in the Western Hills of China. He broke bread with Mongolian bandits, hunted with Pygmies in the Philippines, and encountered Cantonese pirates in the China Sea. In all, he studied 21 primitive races and cultures. L. Ron Hubbard had seen life from every angle. He had seen man at his best and at his worst and put himself in their shoes, quite literally. His unique philosophy does not stem from the quiet contemplations of a man who spent all his life in a classroom, but from the full life of one who has been there and done it. The world itself his classroom and Life was his teacher. With 19 New York Times bestsellers and more than 350 million copies of his works in circulation, including over 22 million copies of Dianetics, L. Ron Hubbard is one of the most widely read authors of all time, holding the Guinness World Record as the most published author. L. Ron Hubbard has received over 4,000 awards, proclamations, recognitions, acknowledging a lifetime of creative and humanitarian service—especially for his work in the fields of mental healing technology, drug rehabilitation, education, criminal reform, moral resurgence and the arts. 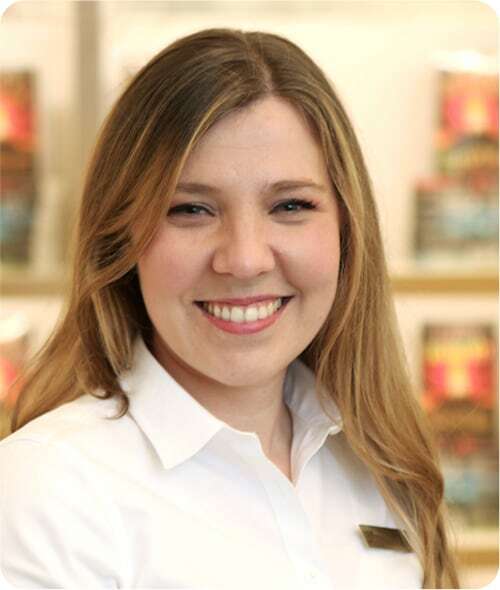 Located in Los Angeles, California, Bridge Publications, Inc. is one of the largest multimedia publishers on the West Coast, and is unique in that it publishes only one author—the extremely prolific, New York Times best-selling author L. Ron Hubbard. With more than 530 of Mr. Hubbard’s published works and many more as yet unpublished, Bridge’s publishing library comprises a wide-ranging array of his books and recorded lectures on the subjects of the mind and life. To meet the demand for L. Ron Hubbard’s books—as well as CDs of his recorded lectures—Bridge Publications brought its administrative, sales, manufacturing and distribution functions together in one location: a 276,000-square-foot state-of-the-art facility on Olympic Boulevard in Los Angeles. Bridge manufactures, markets, sells and licenses L. Ron Hubbard’s nonfiction works in North and Latin America, Africa, Asia, Australia, New Zealand and Oceania. Based in Los Angeles, California, Bridge Publications, Inc. is the official non-profit publisher which manufactures and distributes L. Ron Hubbard’s nonfiction works in North and Latin America, Africa, Asia, Australia, and East Asia. See our special offer on the Self Analysis workbook including free shipping and a special gift from Bridge Publications. This is a limited time offer so take advantage of this now to get the most from your investment.